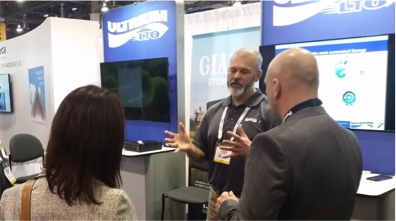 Participants at the recent ISC West 2016 security show were very intrigued by the secure storage benefits offered by LTO technology. 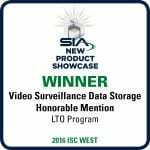 The LTO Program sponsored a booth at the show where the team demonstrated LTO-7 digital tape drives with the Linear Tape File System (LTFS) to show attendees the ease of use and long-term digital storage capabilities for video surveillance files. It’s no secret anymore, LTO digital tape technology can help reduce long-term data storage costs and minimize energy consumption. This BlogBytes will examine the security industry’s storage needs, current storage practices, costs and strategies for efficient and secure long-term data preservation. 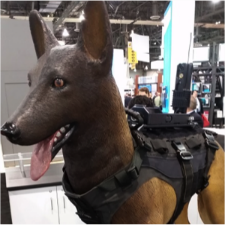 ISC West 2016, held at the Sands Convention Center in Las Vegas, attracted nearly 30,000 attendees and 1,000 exhibitors showing security technology from wireless-keyless door locks to a variety of camera surveillance devices, including those that can be mounted on your favorite trained pet (Figure 1). 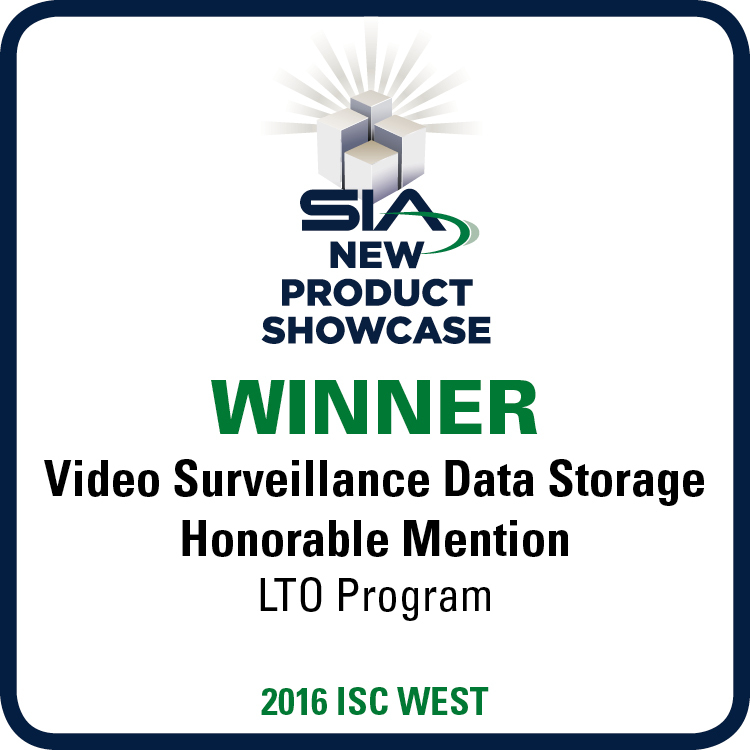 The conference this year was especially exciting as LTO-7 technology was awarded the honorable mention in Video Surveillance Data Storage at the 2016 SIA New Product Showcase Awards at ISC West. Video data storage is a key part of the video management system because the content captured can become a huge task to store for longer and longer periods of time. Since detection clarity and litigation demands high definition footage, the size of the video storage pool grows by leaps and bounds. The footage from a single camera can equate to 1TB of storage per year or more! Imagine a police sector or city park with a 1,000 cameras. That’s a petabyte of video storage. How is Video Content Currently Stored? Users in the Digital Video Surveillance (DVS) marketplace currently store much of the video content on network attached storage (NAS) disk devices. To their dismay, when one NAS device fills up, another NAS device is added, and another and another and so on and so forth. This is wasted NAS real estate and expense – the video content is rarely accessed but must be preserved for longer periods of time as retention policies evolve. This can become quite an expensive storage paradigm, not only in terms of acquisition costs but also in space and energy consumption. In a recent 10 year TCO study, ESG found that the average enterprise disk system was 7 times more costly than the average LTO tape system. In addition, the total data center power costs in the disk scenario were over an order of magnitude more than in the LTO scenario. ESG also found in an earlier lab validation report that LTO generation-7 media and drives are orders of magnitude more reliable than enterprise-class disk drives. Please note that LTO-7 digital technology can store up to an astounding 6 terabytes of content per cartridge uncompressed with up to a 300 megabyte per second super-fast native data transfer rate, helping to conserve space and improve productivity. How to Efficiently Store Video Content? DVS system integrators are learning the secret: an LTO automated digital tape library can be a strategic storage target in the video management system to help minimize storage costs while securely preserving video content for the long term. *LTO tape shelf life is a media vendor estimate.